​"And his name shall be called Emmanuel. "But it wasn't! He was called Jesus. In his gospel​ St Matthew quotes the prophecy of Isaiah about the name Emmanuel within a few lines of saying that he would be called Jesus. Both names are very important. In the Bible it is the meaning of a name that is usually very significant. 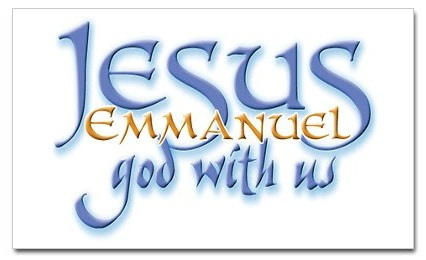 The name Emmanuel (sometimes spelt Immanuel in English) means "God is with us" and so is a most wonderful description of the coming of Christ. With the birth of Christ, God is living in the world as a human being. God has become one with us. But the word with means much more than just being physically in the world as a human being. When someone is suffering, whether it is physical illness or bereavement, what they need most is not help or advice but compassion and that is shown by someone being with them in the pain. "God is with us", manifested in the person of Jesus, is a wonderful expression of God's feeling for us, God's compassion for us. The expression Emmanuel (God with us) clearly applies to God made man. 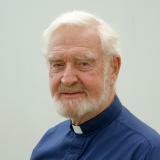 But more than that: the gospel said he would be called Jesus because he would be saving people from their sins. Jesus was not coming simply to tell people to stop sinning and live better lives. He came to help us by his power to recover from evil which so easily insinuates itself into our lives and we find it hard to get rid of it. When we tell people we are praying for them, it is an expression of our compassion and a support for them. But it is more than that; we are asking Christ, who is one of us, to come and heal. Asked to put into words who he was and why he had come, Jesus always said it was for healing, physical healing and healing the broken-hearted.​That is why Christmas is such a wonderful time full of joy – yes, joy, even in the middle of pain.